Originally published January 22, 2019 in CountryGuide. 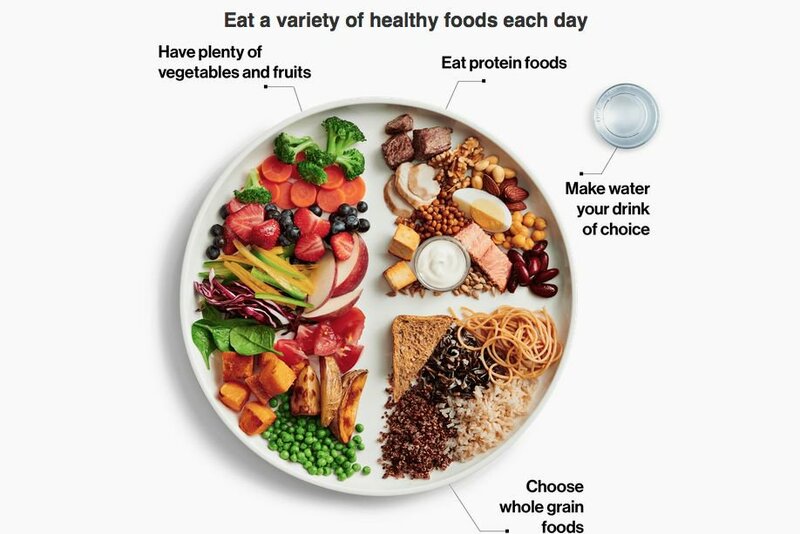 Health Canada unveiled a new Canada Food Guide today that ends the era of the ‘four food groups,’ no longer refers to serving sizes nor specific amounts of food to eat daily, and replaces the former iconic rainbow with a dinner plate comprised mostly of plant-based foods. This new guide is all about proportion rather portion of specific foods, said Health Canada officials Tuesday in Ottawa. It takes a modern approach to communicating dietary guidance to meet the broad needs of all Canadians, federal Health Minister Ginette Petitpas Taylor said during a press conference. The key takeaway message of the new guide, as widely expected, is to eat more plant-based foods, and less meat and dairy. The remaining ‘three groups’ are now fruits and vegetables, whole grains, and proteins. The protein group will include both dairy and meat alongside foods such as tofu and pulses. Other sections advise not consuming processed or prepared foods, and to choose foods with unsaturated fat over those containing saturated fat. The new guide also emphasizes cooking at home more often, the importance of food skills and knowing how to grocery shop and cook, and to use food labels to make informed choices. It warns Canadians not to be influenced by food marketing that undermines healthy eating. The new guide is now fully accessible online and mobile friendly. Previous food guides were “static documents,” Petitpas Taylor said, noting the last revision in 2007 predates the widespread use of smartphones. More information about the new Canada Food Guide can be found online.